Available in different widths depending on the size of the collar. Maintenance: To keep your matching accessories looking brand new, we advise that you clean them with a damp cloth and then pat dry. Argus collars and bracelets are water resistant, however, we do not recommend that you wear them in the shower, pool or in the sea. It is a gorgeous, handmade collar, showing original, stylish design and perfect finishing. This unique accessory will also delight your pet. 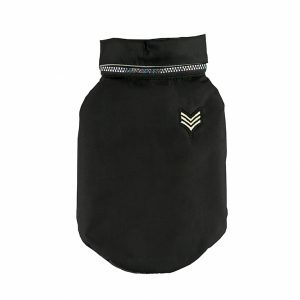 Made of soft, vegan leather, it is safe for the dog’s skin, with no risk of scratches or grazes even on hot days. Beautiful colours of the collars will make your pet genuinely stand out. 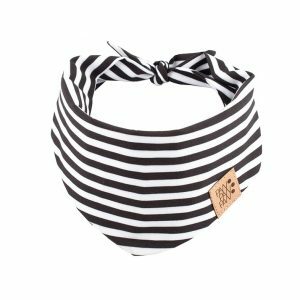 Easily adjustable, the collar is an excellent choice for both small and large dogs; it is an icon of urban grace and timeless elegance. 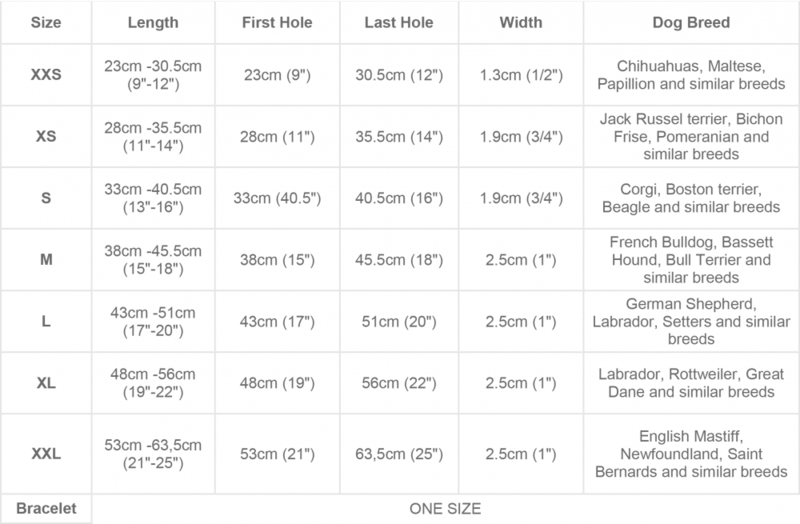 Measure your dog’s neck before you make your order and choose the right size for your best friend according to our sizing chart. To measure your dog’s neck, use a flexible tape measure. If you do not have a tape measure you can use a piece of string and measure with a ruler. The bracelet for you is one size. We use information saved in the “cookie” files for advertising and statistics as well as for the website’s better adopting to the individual needs of users. You can change “cookies” settings in your web browser.